The State Systemic Improvement Plan (SSIP) is a multiyear plan that focuses on improving outcomes for children and families receiving early intervention services. This is important to you because we want you to know we are working hard to improve the services you and other families receive. This is an Office of Special Education Programs initiative to help Congress and the people of the United States decide whether the money spent on early intervention is producing good results for children with disabilities and developmental delays and their families. Phase I – This phase was completed in April 2015. Phase II – This phase was completed in April 2016. We decided to focus on how well children are acquiring and using new knowledge and skills in early intervention. To do that, we developed strategies on improving children’s progress on outcomes and expanding families’ ability to support their child’s development. Even as we were “dreaming big,” we knew that we had to “start small,” so we selected three pilot areas in Williamson County, East St. Louis, and Aurora and decided that we needed leadership teams in each area. These leadership teams include CFC staff, providers, and parents as well as state personnel. Their job is to support local early intervention teams (like yours) to improve child outcomes and to increase the families’ ability to promote their child’s development—even after leaving the early intervention program. The leadership teams began meeting in November, and we are excited to see their progress! For more information about the SSIP, visit https://illinois.edu/blog/view/6039/378910. Each year, Illinois is required to find out how effective the early intervention program has been in helping families achieve outcomes. 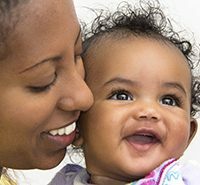 Early intervention is a family-centered system. Both children and families are considered to receive benefits from early intervention services. We are striving to report whether families are getting what is intended from EI services. The Family Outcomes Survey helps measure the state’s progress toward this goal. Family outcomes are the changes experienced by the family as a result of early intervention services and supports. 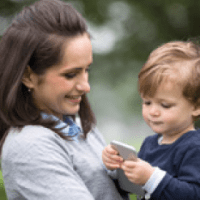 The Family Outcomes Survey examines things such as understanding your child’s strengths, abilities, and special needs and helping your child develop and learn. This year the Family Outcomes Survey will be mailed to every family that leaves the early intervention program. When you receive the survey in the mail, please complete the questions and mail it back in the self-addressed, postage prepaid envelop. 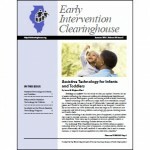 We greatly appreciate your input because it can help improve the Illinois Early Intervention Program.